Some time ago, while recruiting Articled Clerks for my professional accounting practice I met a wimpy, whiny and very immature young man, terrorized by his aggressive, arrogant brothers and buffeted by the aftermath of his parents’ failed marriage. At the beginning I didn’t like him much, but I hired him anyway because he seemed to be very bright. I kept an eye on him and he kind of grew on me. All of a sudden, or so it seemed, he began to consider me as his surrogate father and I started to treat him like a son. We sort of cohabitated at the workplace, shared ideas, got excited about the same things, worked with enthusiasm side by side and fought about each-other’s idiosyncrasies with remarkable determination.. And then, as he matured into a talented, opinionated young man with winsome ways we slowly realized that we couldn’t work together anymore. A couple of days after one Father’s Day he calls me out of the blue. “Have you got a minute,” he asks. “I’ve got something I want to talk to you about.” He sounds hesitant. “Shoot,” I say, figuring it’s about business. But it is a big deal and I am deeply touched by his considerateness. After all, he’s no longer a youngster, but a young man soon to be married to his childhood sweetheart. Yet he still thinks of me as his surrogate father. And I of him as a son. Amazing the affairs of the heart – aren’t they? What does one give as a wedding present to a young man who is not one’s son, but who is … what? How does one tell him about what’s in store for him? How does one prepare him for the travails he will have to overcome? How does one protect him and save him from grief? Then I remember: my mother gave me a Krugerrand on my fiftieth birthday. She did not have to tell me why – I knew. 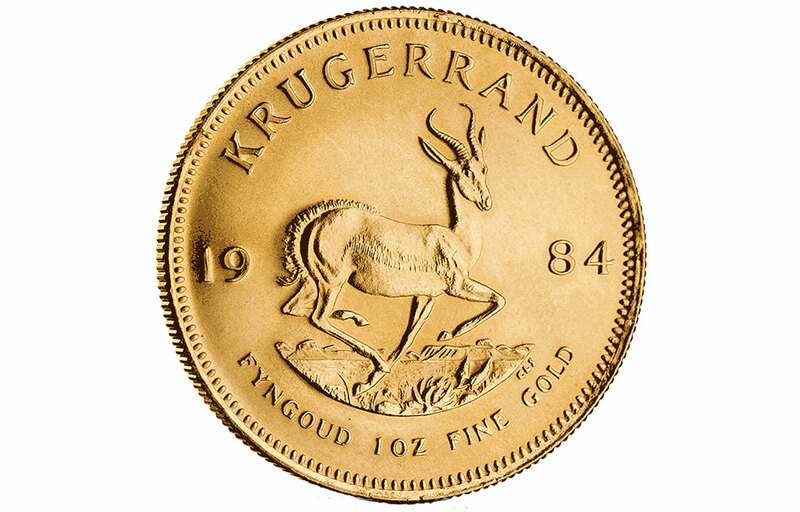 A Kruger Rand is one ounce of pure gold that fits neatly in the palm of a hand, whether it is clenched in panic, in passion, in anger or fear … it matters not. It is portable instant wealth recognized the world over; something that alleviates panic, tempers passion, assuages anger and allays fear – a good gift for a young man on his wedding night. Not enough at the moment in his life when he is about to embark on that frightening journey during which he will learn that he has become responsible not only for himself, but also for his wife and children. And the burden of this realization can, as I know only too well, be crushing emotionally, physically, financially, philosophically. So I have to give him something that will cheer him along the way and I know just the thing. Hopefully, he will have it mounted in a water-proof frame so that when he hangs it on the back of the bathroom door the steam won’t make the letters run. Of course, he must hang it in the bathroom, a place where a man, be he happy or sad, exhilarated or depressed, can give free vent to his emotions without being seen while marveling at the words of a poem written almost a hundred years ago which, even today, addresses every aspect of life. I think of all the stories you have send me over the years this is your most transparent and candid insight into who you are. Just delightful. Thank you for sharing it with me. As you may know I have not published an Around Westmount since February. Frankly I got bored writing the same stuff everyone else was writing and I wasn’t getting paid at a time when I need to have some income. smile. So, two things. I have been receiving requests to restart the e-zine and will do so but with a different take. The piece you sent me today is exactly what I want… something totally different from and about Westmount residents… I know… we will ignore that… you are an ex resident… once a resident, always a resident. I am going to sub head it Getting close and personal with Westmount events and personalities. Eg your piece along with your history… closet to December an interview of singer Barbara Lewis who will be performing a concert in December. Perhaps an interview with the new mayor. Close and personal, informative and timely. BUT I will need sponsors. I am going to approach a local grocery chain for groceries each month in lieu of money.. a win/win for them since they will not be paying what they are giving me. And sponsorship from associates lilke yourself who pay me to write Around Westmount bo-weekly. Would you consider that? Now the caveat to that is I will of course publish what you write. I could not publish what you wrote about Westmount because although I may agree with it, I live and I guess work here and could not bite the hand that feeds me… although they don’t… another story. Of course once I have the site going again, with or without your sponsorship, I will continue to publish what you write because it is … well you know… professional, inciteful, a cut above. But please think about it… it has taken me all this time to ask for sponsorship not only from you but others. I was thinking of doing a crowd funder but realize that is too plebeian or undignified for me… It was 30 years in June since the original diagnosis… unprecedented in the medical world… and I have suffered too many indignities … so I am not going to impose that on myself. I prefer to find quality sponsors like yourself. I will however send out a mass emailing in September to presell the book…which I will complete this month.. It would have been complete by now but I had a fall… I fell flat on my face onto Greene Avenue.. my toe caught a glitch in the sidewalk when I was crossing and I fell forward… sustained a nasty concussion… I can write again now. smile. again thank you for this piece. A blessing on you, Rebbe Landori! Wonderful gift. Lovely story. Thanks Robert.